Several Chairmen and MDs of urban cooperative banks of West Bengal attended a seminar on the theme of Umbrella Organization for UCBs held recently in Kolkata. Subhas Gupta, Chief Executive of the apex body of urban banks and credit co-ops NAFCUB was one of the star participants in the seminar. P.N. Das, General Manager, D.C.B.S, Reserve bank of India, Kolkata inaugurated the Seminar. Inaugural session was chaired by Sandip Kumar Mandal, Chairman of the Federation. Anup Kumar Basu, Secretary of the Federation delivered a welcome address. Subhas Gupta, Chief Executive, NAFCUB in his speech apprised the delegates of the subject matter and various developments related to Urban Co-operative Banks. V. S. Das, Former Executive Director, Reserve Bank of India delivered the Key Note address where he explained in detail the theme and scheme of the subject. A good number of delegates raised questions and queries. 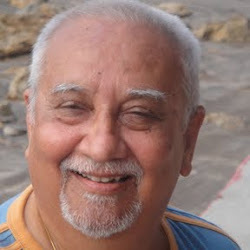 Das and Gupta jointly fielded queries. Delegates expressed their intention to discuss the matter in their respective Board of Directors meetings. 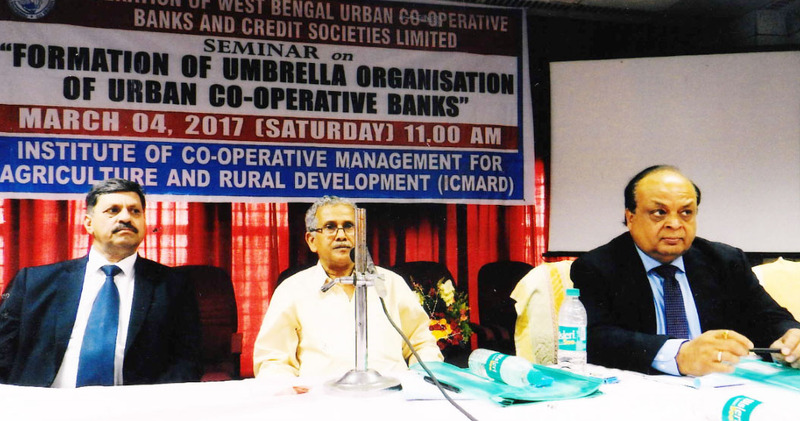 The seminar was organized at the initiative of the Federation of West Bengal Urban Co-operative Banks and Credit Societies at “AOIKTAN” Auditorium of the Institute of Co-operative management for Agriculture and Rural Development (ICMARD), Ultadanga, Kolkata. Fifty participants from 27 Urban Co-operative Banks of the State attended the seminar. A background paper was handed over to the participants which had been made available to them through e-mail in advance also. Arup Roy, Cooperative Minister of West Bengal who could not make it to the seminar, however sent his written message which was read out by Sandip Kumar Mandal. Mandal also proposed a vote of thanks.